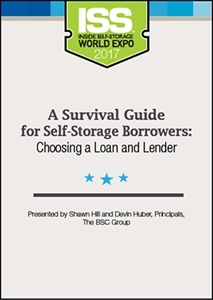 There are various loan products available to self-storage borrowers today. Do you know the differences between them and which is best for your needs? After this session, you will! Too often, borrowers focus on interest rate as the primary driver to define a “good deal.” Our experts will debunk that approach and delve into the critical structural components that determine winners and losers on the loan playing field.